What is gastroesophageal reflux disease (GERD)? What are its causes? Gastroesophageal reflux disease (GERD) is a condition during which the stomach acid is coming back from the stomach into esophagus, and irritates and damages its mucous layer. The food that you eat goes through the esophagus and enters your stomach through the lower esophageal sphincter. This sphincter is meant to prevent the content of the stomach from going back into your esophagus, since the stomach acid is a particularly aggressive substance and our esophagus doesn’t have any protection against it, unlike the stomach. Due to a number of reasons this sphincter might not work properly, which causes the content of the stomach to leak back into the esophagus. The name for this process is gastroesophageal reflux. Quite often people simply call it reflux, however, this might create some confusion, because there is another type of reflux which can occur in our body, and that is the duodenogastric reflux (where the content of duodenum is entering the stomach). Drinking alcohol (particularly strong alcohol) – alcohol beverages with alcohol content over 30% cause substantial irritation to the mucous layer of the esophagus and stomach. 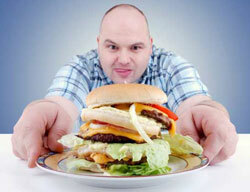 The stomach responds to this irritation by producing more acid, worsening the situation even further. Being overweight or pregnant – visceral fat and a growing womb with the baby substantially increase the intra-abdominal pressure. This pressure causes dysmotility of the lower esophageal sphincter and pushes the content of the stomach back into esophagus. Having a condition known as hiatal hernia – which is a protrusion of the upper part of the stomach through the weakness or tear in the diaphragm, that weakens the lower esophageal sphincter. Hypercalcemia – is a condition during which a person has elevated concentration of calcium within his or her bloodstream. Hypercalcemia increases gastrin production, which causes an increased acidity of the stomach’s content. Zollinger-Ellison syndrome – is condition caused by a gastrin-producing tumor. This causes acid-secreting cells within the stomach to work at maximum capacity, making the stomach’s content very acidic. Systemic sclerosis and scleroderma – cause peptic stricturin (also known as a benign narrowing of the esophagus). These conditions can decrease motility within any part of the gastrointestinal tract, including the lower part of the esophagus, which often leads to GERD if left untreated. Visceroptosis (lowering of the stomach) – impairs the function of all the affected internal organs due to the fact that they are no longer located in their proper places. Among other things this causes dysmotility of the esophageal sphincter, which can cause the backward flow of the stomach’s content. Taking of drugs such as prednisolone not only causes an increased acidity and dysmotility of the lower esophageal sphincter, it can also lead to peptic ulceration by decreasing the protective properties of the mucous layer.